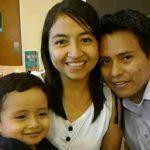 Benjamin and Belén are from Guatemala City, Guatemala. Benjamin has been in the church of Christ his whole life, serving in various roles. He is part of the leadership team of the Villa Nueva congregation, though he also preaches and counsels in a number of congregations in the area. 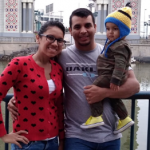 Recently married, Carlos and Kemberly come from Venezuela orginally, where Carlos graduated from the university with an Electrical Engineering degree. Carlos was baptized in the church of Christ of San Cristobal, and worked some in the Timotes congregation. This past year, because of the terrible situation in Venezuela, he and Kemberly spent time in Colombia, and now they have settled in Perú. Kemberly is working full time and Carlos continues to study. 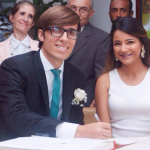 Claudia and Daniel live the city of Carupano, Venezuela, married since 2011. Daniel has his degree in Human Resource Management. 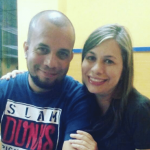 He was baptized in the church of Christ of La Esmeralda, which is also in Carupano, and he continues to work with that church and others in the Carupano area, as part of an evangelistic team which is planting new churches in that area. Elder lives in the city of Sucre, Bolivia, and works with the church in that city. He has worked also as a Spanish teacher. He helps lead the youth group in his congregation, and he is passionate about teaching, especially the gospel. Gustavo is from the municipality of El Hatillo, in Miranda, Venezuela. He recently was married and is working with a small church in the outskirts of Caracas, Venezuela. Though he began to study with TIBI on his own, since August 2017 he has been one of the full-time scholarship students of TIBI. Julio comes to TIBI from the city of Barinas, Venezuela. 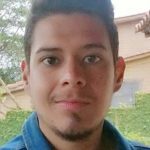 Like Gustavo, he began to study with us with the help of friends and family, and in August 2017 received a scholarship to finish his degree. 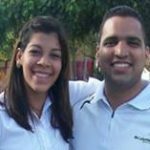 He currently works with the church of Christ in Bumbum, in the state of Barinas, where he participates in the leadership of the congregation. 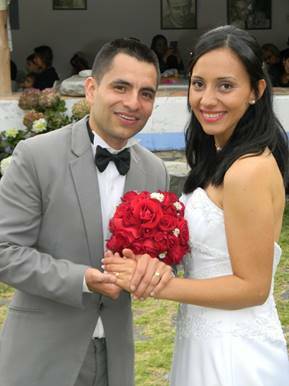 Kenneth and Darlin were married in October 2015, and they live and work actively in the Heredia congregation in northern San José, Costa Rica. Kenneth was baptized there and has spent more than six years working in the church. Darlin works during the day and by night studies online courses with TIBI to be able to get her degree with TIBI also, sharing studies with Kenneth. Both are fruitful in the work of evangelism. 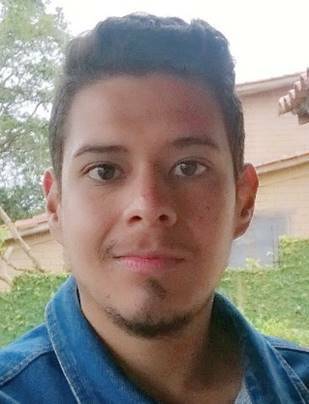 Miguel lives and works in the city of Valera, Venezuela, where he recently graduated from the university. He has worked as an announcer and producer of radio programs, and you can tell that by his voice! He was baptized in the Valera church, and currently works there. 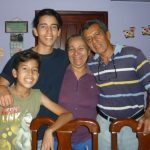 Omar and Marly live with their children, Omar and Jeremiah, in the city of Barquisimeto, Venezuela. Omar was a captain in the Venezuelan air force, and now studies full-time and works with the Los Sauces congregation, with another graduate of TIBI, Isaac Torres. Marly helps with the ladies and children of the church. Omar also has experiencia in Russia and speaks some Russian. He especially enjoys biblical languages. 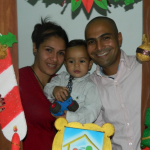 Oscar and Lilian live with their son Oscar Josiah, and their new daughter in Guatemala City, Guatemala. 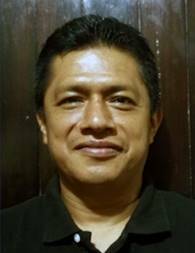 Both work in the congregation of Villa Nueva in various ministries. Oscar was a technical professor teaching physics before accepting the TIBI scholarship to study full-time. Along with Benjamin Matul, they are the first TIBI scholarship students from the country of Guatemala. 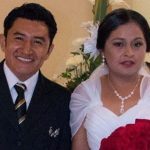 Pablo and Dahiana were married in May 2016, and live now in Cochabamba, Bolivia, where they work at the Cochabamba Centro church. 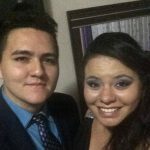 Pablo is originally from Brazil, and afterwards went to Paraguay to participate in the AIM program as an intern. After that he went to Bolivia to work in Cochabamba. Perhaps some day he will be a bridge connecting TIBI with Brazil, and Portuguese. Along with Elder, they are the first two full-time scholarship students from Bolivia. 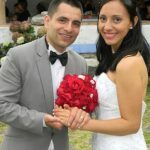 Sergio and Dulce were married in July 2016, and live in Campeche, Mexico, close to where another TIBI graduate works–Juan Bautista May Che. Currently they are working in the congregation at Calkini. 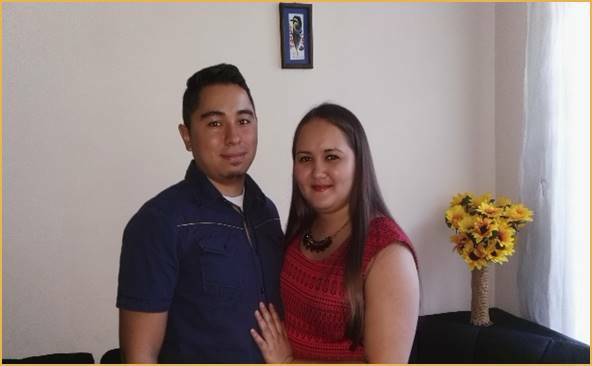 both Sergio and Dulce are studying to get the Bachelor of Biblical Studies degree, and are expecting their first baby in the fall of 2018. Hansi comes to us from El Salvador, the second TIBI full-time scholarship student from that country. 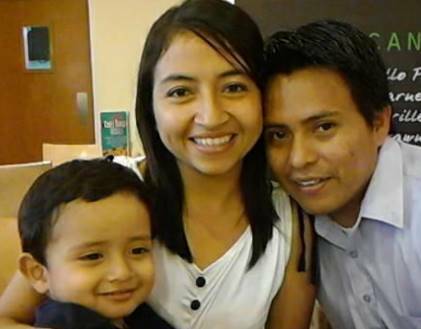 Here he is with his wife Esmeralda and their two children, Daniel and Jair. They attend the congregation at Ciudad Real in Santa Ana, where they work in various ministries, including the youth and cell groups. This is Yasnuary and her husband Arnold, and their son Matthew. Yasnuary is the first TIBI scholarship student from that country. She and her family currently live in Ilo, Peru, and work with the church there, where she enjoys working with the children, benevolence, Bible classes, evangelism, counseling, visitation, and much more. 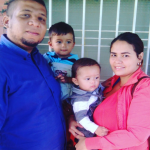 Eli, his wife Maria, and their two children live in Barinas, Venezuela. They are part of the Socopo church. Eli participates in the leadership of the church, as well as other activities like the youth group, benevolence, evangelism, and visitation. He has also been part of the team at the Los Sauces church, where TIBI graduate Isaac Torres works. 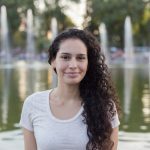 Corina comes from Merida, Venezuela, where she studied nursing in the University of the Andes. She moved recently to Buenos Aires, Argentina, where she is a member and active participant of the Iglesia de Cristo Redentor, which shares a building with the Parque Centenario church of Christ. 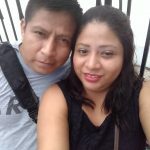 This is Alejandro and his wife Ruth. 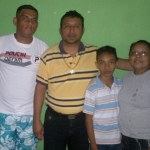 Alejandro was baptized and spent part of his youth with the Barquisimeto Centro church. 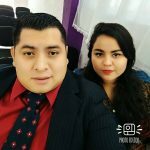 Now they live in the city of Chivacoa and work with that congregation. Alejandro likes working in street evangelism in particular, leading worship, and teaching to edify the body of Christ. This is Lourdes with her husband Rafael, and their two children, Rafael and Andres. 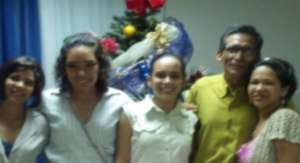 They live in the city of Maturin, Venezuela, where they participate in the leadership of the Jose M. Vargas congregation. They are very active there in such things as youth ministry, evangelism, counseling, and children’s classes. Lourdes has also helped establish a TIBI Local Bible School in the church there and has already taken several courses with TIBI. 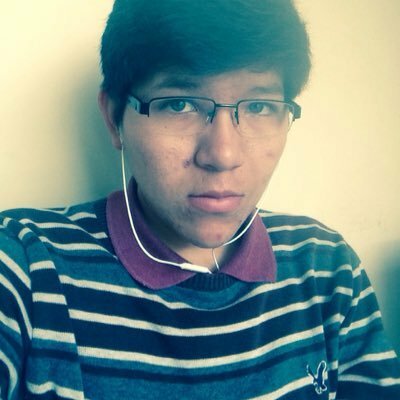 Pablo lives and works in Veracruz, Mexico. He began to study with TIBI in January 2018, and has continued full-time since that moment. 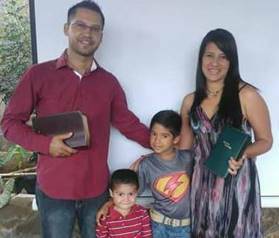 Cristhian, his wife Shary, and their children Shirly and Joao are pictured here. 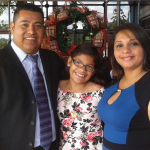 Though Cristhian is originally from Honduras, now his family lives in Managua, Nicaragua, where they work with the Jose Dolores Estrada congregataion. 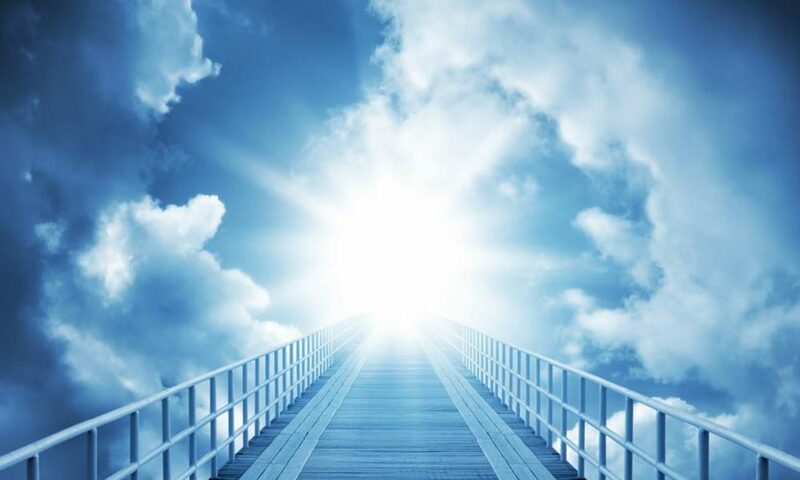 Cristhian has participated in evangelism, song leading, benevolence, visitation, and more. 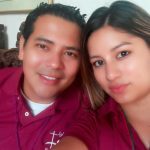 Victoria is from Honduras, and currently she works as a missionary, alongside her husband David Lopez. 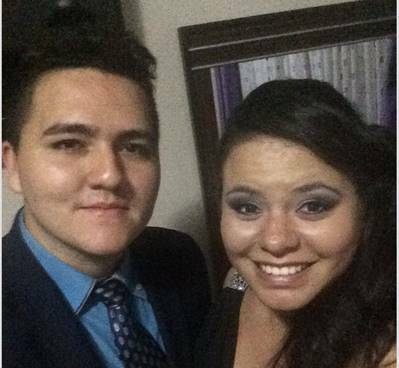 Both work with the church of Christ in Subá (Bogotá, Colombia), as youth ministers. Previously, Victoria had served as director of children’s ministries in the same congregation. David graduated from Baxter Institute in 2010, and he began to work in the mission en 2012. Victoria arrived the following year. Jose here is with his wife Lisbeth, and their daughters Abigail, Andrea, and Alejandra. 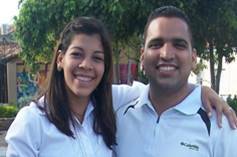 They are active in the church in Valencia, Venezuela, where Jose has been an elder several years. He serves in leading worship, coordinating cell groups, benevolence, and preaching. 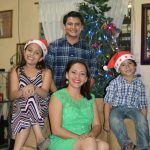 Marvin and his wife Ericka, and their sons Jacsell and Jeidy live in the San Francisco neighborhood in the city of Tipitapa, Nicaragua. They participate in the Jardines de Veracruz congregation, where Marvin is one of the leadership team. 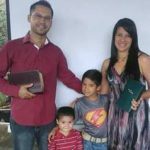 Marvin has emphasized evangelism in his ministry, and has been part of active and recognized teams from the Tipitapa area churches, establishing new congregations in various places. He also works in benevolence. 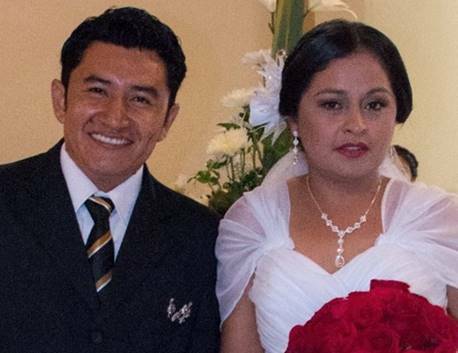 Francisco and his wife Gorety live in Merida, Mexico. They work with the Sambula congregation, in the areas of youth ministry, evangelism, benevolence, preaching, and more. 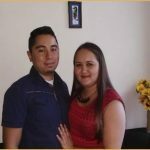 Francisco loves to serve and has prepared himself with several specialized courses in counseling. Lenin and his wife Mairelisa, with their two children (one more arrived since this picture! ), live in Maracaibo, Venezuela. Lenin was baptized in the church there and now is one of the leaders of the San Francisco congregation in the same city. He participates in various ministries like visitation, benevolence, children and youth classes, and directing worship activities. 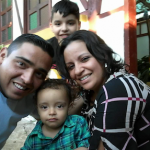 Alfonso and his wife Monica live in Maracaibo, Venezuela, with their sons Santiago and Saul, and have been active in the Amparo congregation, a church planted by the San Francisco congregation nearby. 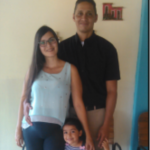 They are about to move to Colombia to live and will study full-time with TIBI from there. 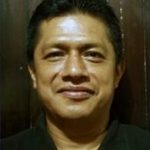 Alfonso has a good background in the faith, and considers himself a capable student of the Word, enjoying teaching and preaching the Word, along with other activities like preaching and benevolence.